Of all Dubai’s massive infrastructure projects of the past 20 years, one truly epitomises the emirate’s efforts to position itself as a city for all people. Launched in 2009, the Dubai Metro is recognised as one of the world’s most successful public transport infrastructure projects. Described at the time of its launch as Dubai’s “socio-economic future” by the emirate’s ruler Sheikh Mohammed bin Rashid Al Maktoum, in its first seven years of operation, the Metro carried almost 830 million passengers – that’s almost 120 million per year. In 2017, this figure had risen to almost 200 million passengers. For a city that previously had little public transport infrastructure, the huge popularity of the 75km Dubai Metro, which was built in just four years, showcases the importance major public infrastructure projects have had on Dubai’s rapid transformation into one of the world’s most liveable cities. Speaking at the launch of the Metro, Mattar Al Tayer, chairman of the Board and chief executive of the Roads and Transport Authority (RTA), highlighted the immense effort that had been made in building the Middle East’s first Metro system. 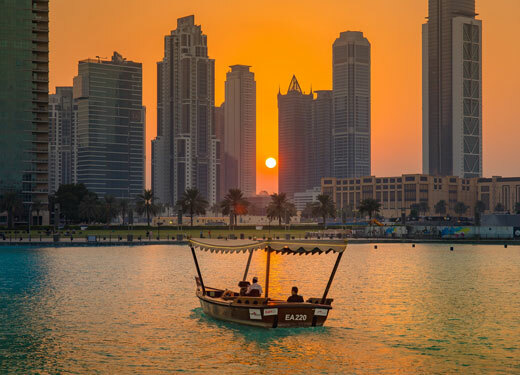 Dubai’s commitment to providing world-class services to its citizens and residents has turned it into a lure for expatriates and helped establish it as one of the world’s most liveable cities. In 2017, Dubai received the highest ranking of any city in the Middle East and Africa (MEA) in the highly respected Mercer Quality of Living Survey. Overall, Dubai ranked 74th out of 231 cities worldwide, and was praised for its public infrastructure, safety, economic strength and world-class healthcare and education systems. In the same report, it ranked 51st in the world for the quality of its city infrastructure. Dubai also ranked highly in the Economic Intelligence Unit’s (EIU) Global Liveability Ranking for 2017, with the EIU naming the city the best in the MEA region in terms of its living standards. It also named Dubai as one of the world’s ‘most-improved cities’ over the past five years in terms of the quality of living it offers its residents. Unsurprisingly, this factor is acting as a magnet for people from across the world seeking job opportunities and quality living standards. According to HSBC’s latest Expat Explorer survey, which ranks cities across the world in terms of their appeal to expatriate workers, the average salary for expats working in Dubai is AED507,000 (US$138,177), ranking the city 11th out of 30 cities worldwide. Dubai ranked ahead other popular expat destinations including Sydney ($134,000), London ($107,000) and Istanbul ($100,000) in the list. Dubai was also praised by expats for its “vibrant social life”, who ranked it ahead of London, Paris and New York in this area. The city’s extensive leisure facilities saw it rank fifth in the world in this category behind Sydney, Vancouver, San Francisco and Auckland. Other key findings in the report included the fact that 76 percent of expats living in Dubai felt safer living in the emirate than in their own countries, while 68 percent said they would recommend Dubai to other expats considering relocating to the city. The growing popularity of Dubai as an expat destination is reflected in its rapid population growth – which is projected to reach 5 million by 2030 – and the number of foreign investors in the emirate’s property market. According to data published by Dubai Land Department, foreign investors accounted for more than $15 billion-worth of property transactions in 2017, out of a total figure of $77.6 billion. Gulf-based investors represented the single-largest foreign investor demographic with $10 billion-worth of property purchases, followed by Indian investors with $4.24 billion-worth of investments, Saudis $1.9 billion and Brits $1.6 billion.